You have many great properties. We will continue to return. 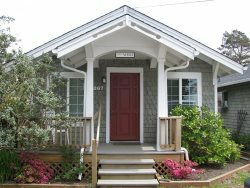 Cannon Beach Vacation Rentals is a friendly, customer-focused rental company. Their descriptions of the properties they manage are always accurate and the properties are maintained well. The staff is cheerful and quick to act. Thanks for another great stay in Arch Cape! Very helpful and responsive. Everyone was friendly. Anticipated questions and sent email about check in process. I felt the staff went out of there way to help our families during our stay. Super friendly, engaging and just made you feel like they were so happy to meet you. Now, that I know the surroundings, I would prefer a house away from the main road. Did enjoy the bag of goodies to greet us when we arrived. Thought that was a nice touch. Thanks for asking for feedback. We had a great time. Hemlock House was a little rustic--but we were comfortable and had lots of room. Rental company was very responsive---internet was not working and Kaye spent some hours working with owners etc. to get it up and running for us. The registration process was good from start to finish and I liked the e-mail updates prior to our stay. The rent for the home was very reasonable. The property was very nice and well maintained. The location in Cannon Beach was excellent. The only real downside was the parking issue. Great service and property. Can't wait to come back.